In our previous lesson, we started covering word of mouth and ways you can go about making your customer’s decision to purchase short and simple. In today’s lesson, we’re going to continue discussing this topic. Word of mouth has its own power, and we’re going to discuss how you can make it work to your advantage. Just about everyone looks for input when making a decision. They look for advice that’s going to guide them towards the best option. We often rely on the experience and expertise of other people to determine what the right decision is based on their information. Keeping this in mind, it’s easy to see what word of mouth is and the power that it can have. Once you see this, it’s easier to understand how you can take advantage of what it has to offer. Advertising in a traditional method typically gets about one inquiry per every thousand ads, and often this is just getting the customer into your pipeline for information before they even decide to pull the trigger on making a decision. Getting information from family or friends can help to improve the speed of this decision-making process and taking action because of a recommendation. Did you know that on average, a customer will make a purchase based on two out of every five referrals their friends and family make? That can be huge for your business. Let’s take a moment to define word of mouth again because of how powerful it can be: it’s the communication that occurs between a customer and someone that isn’t a customer. Often, there’s some type of relationship between the two individuals. This relationship created a level of trust between them in that the one will put more weight on what the other has to say. Now, let’s compare this message being shared through a trusted relationship and advertising. Who do you think they are going to trust more easily and take advice? It should be pretty clear that they’re going to put the words of a trusted friend or family member above any advertising that you could put out. The person doing the referring can custom tailor the information on why this is best for them because of the knowledge they have about the potential customers’ needs. The recommendation is trustworthy, pertinent to them, and personal. The referral is customer driven for them. A good recommendation is self-generating and often will balloon into a much bigger thing. This fact is especially true with the internet as it has opened up the reach of word of mouth. Word of mouth can become part of your product or service’s description. It is more effective and important when word of mouth comes from an expert. Lastly, word of mouth will save you both money and time. Where does your word of mouth come from? What products tend to get the most love from your word of mouth? How are people passing along their word of mouth to others? Once you have a handle on identifying this information, you can make a plan for how to increase your word of mouth. That’s all for today’s lesson. 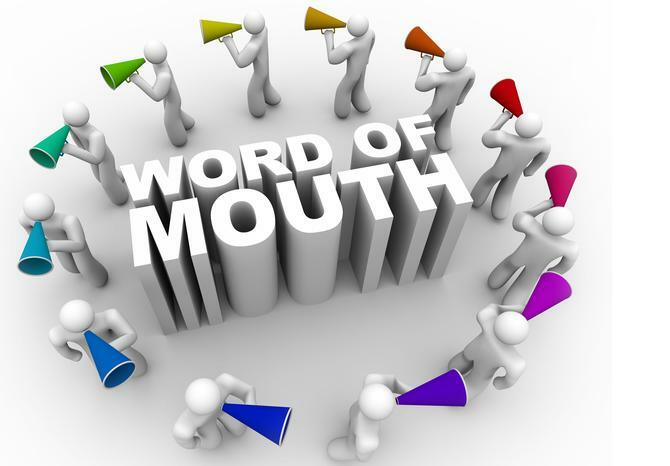 Do you feel that you could benefit from some more guidelines on word of mouth? Contact us today to learn more about how our services can benefit your company. In our next lesson, we’ll be going even deeper into harnessing word of mouth by examining the nine different levels. We’ll go over these levels to help you determine what word of mouth is positive and what isn’t.